Britain’s planning system began as ‘town and country planning’ to repair the ravages of unplanned industrialism and promote ideal environments for the future. Steering a course between left and right, public control and for-profit development, it survived successive booms and busts, broadening to include new concerns like ecology, conservation and community participation. By the 1986, when this book was first published, the system’s survival beyond the year 2000 was in doubt. It did endure, but it is now under serious threat from the right, which sees it as obstructing enterprise and the restoration of ‘growth’. It has been stripped of some of its core aims and mechanisms, while as yet there is no agenda distinguishing growth that will be sustainable from growth which self-evidently is not. 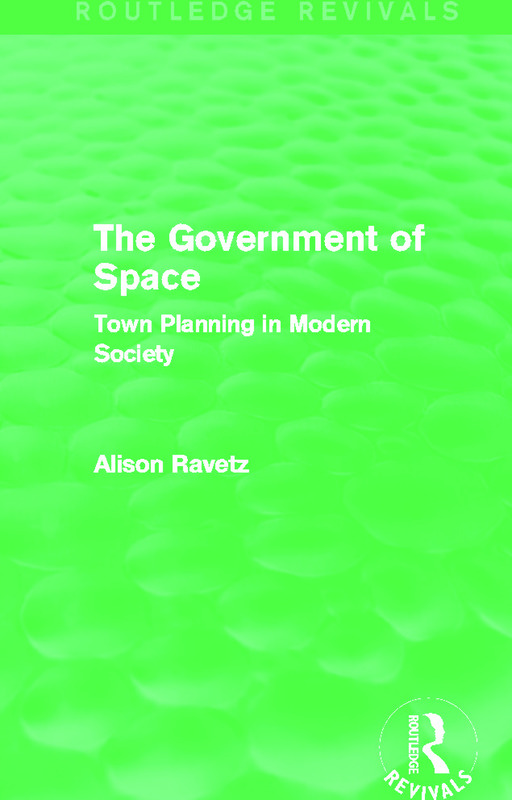 The Government of Space was written as a concise guide for the non-specialist to the origins and evolution of British planning, its intellectual pedigree, achievements and cruxes. It is an invaluable background to the state of planning and the cases for and against it today.